My name is Sweetstone. 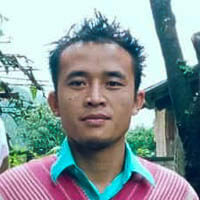 In 1990, I was born in Ler Mu Plaw Village, Karen State, Myanmar. I have one younger brother and one younger sister. Being actively involved in the Karen revolutionary movement, our family has faced many hardships. My family became internally displaced in the jungle of Karen State in 1997. I started going to school when I was seven years old. In 2001, I left my family and moved to Thailand to escape persecution and continue my education. When I arrived in Mae Ra Moo Refugee Camp, I stayed with my uncle until I finished grade four. In 2003, I returned to Karen State and continued my education until I finished grade nine. However, in 2006, the Burmese army destroyed our school, so I was unable to continue studying there. In 2007, I left my family again and returned to Thailand for my safety and education. I stayed in a dormitory and studied at Karen Adventist Academy until I finished grade twelve in 2010. After that, I did not have opportunities to continue my education. I then met with Saw Sha Bwe Moo, and he gave me an offer to work at the Karen University Student Group (KUSG), Karen Refugee Committee Education Entity (KRCEE), and Karen Environment Social Action Network (KSEAN). At KUSG, I was responsible for meeting with students in Karen State and taking information from them because KUSG supported schools in IDP camps. 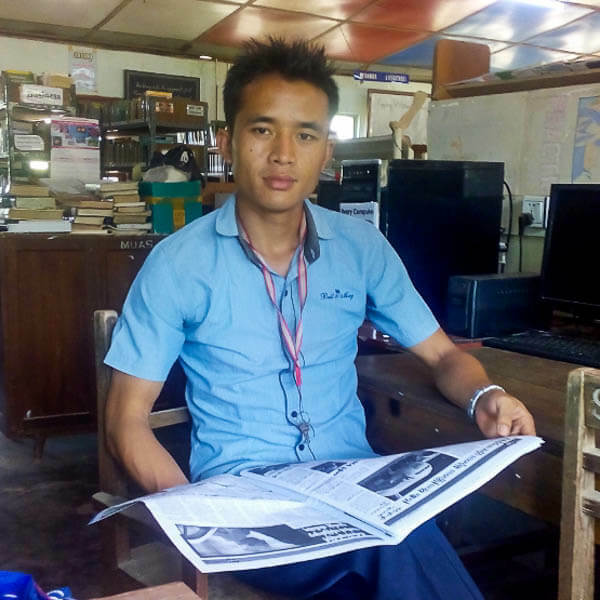 At KRCEE, I was responsible for office work, while at KESAN, I was responsible for documentation such as taking videos and collecting news inside Myanmar. While working, I spent most of my time going back to Karen State and making documents. I visited the IDP areas with KESAN staff and helped the people there. While working in the community, I realized that I need to gain more knowledge to be more helpful for my community. Thus, I made a resolution to continue my further study no matter what obstacles I encountered. After Sweetstone graduates, I believe that he will bring huge positive changes to his community. It was difficult for me to continue my education because I did not have money for school fees, nor did I have a sponsor to support me financially. In 2014, despite my financial situation, I quit my job and joined Myanmar Union Adventist Seminar. I met with the school principal to discuss my financial problems, and he put my name on the worthy student list. As a worthy student, I had to work at least 14 hours per week. 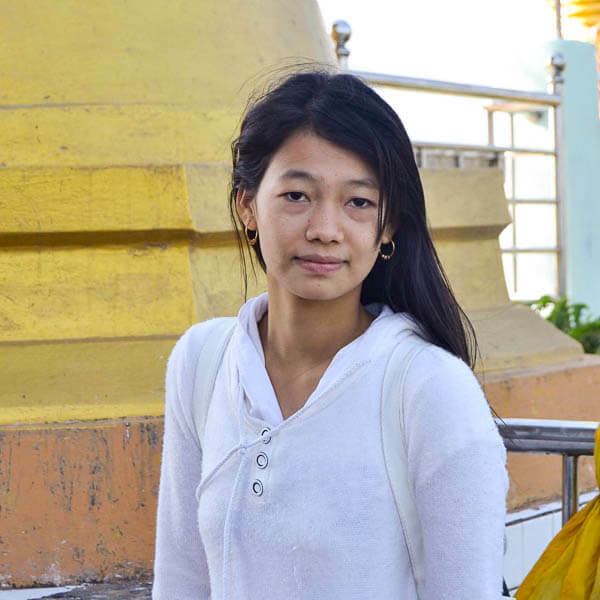 I earned 30,000 kyats (about US $20) per semester, but it was not enough to cover my fees. During school holidays, I sold books and CDs. Every summer, I returned to Mae Sot to teach English to support myself financially. At Myanmar Union Adventist Seminary, I studied General Education and Health. In 2015, I finished my study and returned to Karen State to serve my community there. In 2017, I enrolled in a master’s program at Asia-Pacific International University in Bangkok. Specializing in Education Administration, I am currently working on my thesis. 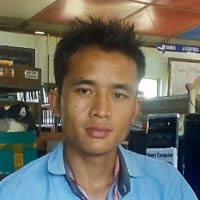 After completing my program, I plan to open a learning center on the Thai-Myanmar border. I would like to support students from poor economic backgrounds to get proper education so that they will be able to lead comfortable lives and serve their communities in the future. Written by Sweetstone with editing assistance from Zomia’s volunteer editors. I would like to support students from poor economic backgrounds to get proper education so that they will be able to lead comfortable lives and serve their communities in the future.